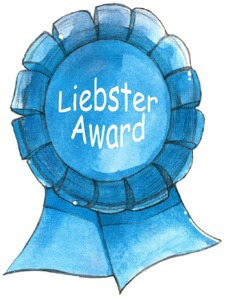 The Leibster Award is given to up-and-coming bloggers. You must answer the questions your nominator gives you, and you must nominate other bloggers. So it’s a sort of “share the love” award – a great big internet hug, if you will — to share the love. Well you know that I’m a hugger so here goes! 1. Is proper grammar important 2 U? OMG absolutely, LOL. Seriously though yes, but I bend that for novels. I think you have to step outside “proper” (somewhat) to make an enjoyable novel. 2. Is it hard to be honest in your writing? No. Not being honest is harder. 3. Why did you start blogging? (Take note of question 2). This blog is the beginning of what I call my “Grand Experiment” in indie publishing. I’m trying to learn the ropes. 4. Do you wish you could stop blogging? Ummm… no. 5. Do you believe in ghosts? Yes. Bwahahahaha! 6. What do you do when you’re not blogging? I work to pay the bills. 8. What are you terrible at? And are you really? Taking a compliment. Even if I think I deserve it, I have a devil of a time doing that. Okay… the rules said “up and coming bloggers.” I don’t know many bloggers at all… And the ones I know have all been blogging longer than I have. So I’m going to bend that rule and nominate a few of my favorites, and not worry about how long they’ve been blogging. And I hope they can take a moment for a few fun questions. I’m taking it easy on you with just a few questions. If you could go anywhere for as long as you wished, where would you go? Have you become what you wanted to be when you grew up? If you could say one sentence that the whole world would hear, what would you say? To those of you in the USA — Happy Thanksgiving. Posted on November 25, 2013 by Teagan R. Geneviene •	This entry was posted in Motivational, Uncategorized and tagged diaries, Liebster Blog Award, microscopes, NaNoWriMo, quilts, romance, Vintage. Bookmark the permalink. So I’m JUST reading this–sorry! I loved your answers to the questions; so insightful. Indeed it does. Thank goodness this is a short week! Just when I had caught up my word count, now I’m back at work and it’s already slipping. Ha. Thank you, Teagan. It might take a while before I get to this.